You are at:Home»Carriers»French carrier "not seaworthy"
The French aircraft carrier Charles de Gaulle has been sidelined with a major engineering casualty until at least Christmas, and the time could not be worse for Great Britain, according to the Telegraph. With the U.K.’s only carrier Ark Royal scrapped, the two historic rivals were expected this week to announce a partnership that would in some way share the French carrier with Great Britain. Following Britain’s strategic defence review last week, it looks certain that the UK and France will each have just one operational aircraft carrier each towards the end of the decade. But Britain will have to rely solely on the Charles de Gaulle until at least 2020 while the Queen Elizabeth, a new carrier, is being built. L’aircraft carrier’s issues don’t just have implications for the U.K. but also for the American-led NATO (or OTAN if you’re French) mission in Afghanistan. The carrier was on its way to the Indian Ocean to support Afghanistan operations when it broke down, leaving NATO with one less gun in the fight. The carrier’s captain said prudence demanded the deployment be scrapped. According to the Telegraph, the repairs will run well into eight figures for the country that has already been forced into harsh austerity measures, which has caused unrest throughout the country. Carriers Harry S. Truman and Abraham Lincoln are already in the Arabian Sea supporting the Afghan mission. Update: The defense agreement between France and Britain has been signed. Read about it here. 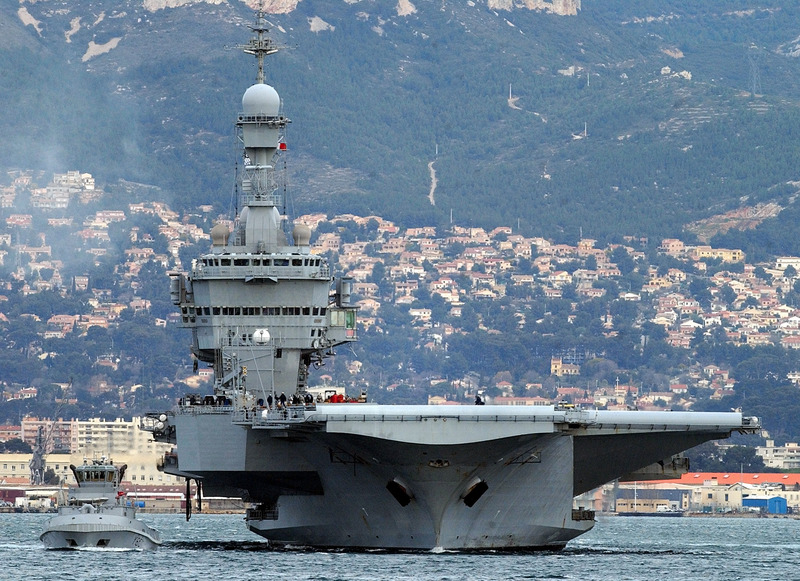 Aircraft carrier Charles De Gaulle leave Toulon bound to Indian ocean on october 30th, after repair. Don’t be so linked with “our british friends” ! If we’re not careful as a nation, we’ll be next! Maybe we could lease the John F. Kennedy to the Brits!